Add some luxury and comfort to your bed with this sumptuous throw. Grey faux fur, with flecks of brown, that is beautifully soft, plush and stylish, perfect for laying on your bed. Make your bedroom a cosy place to relax and sleep and add an indulgent feel. 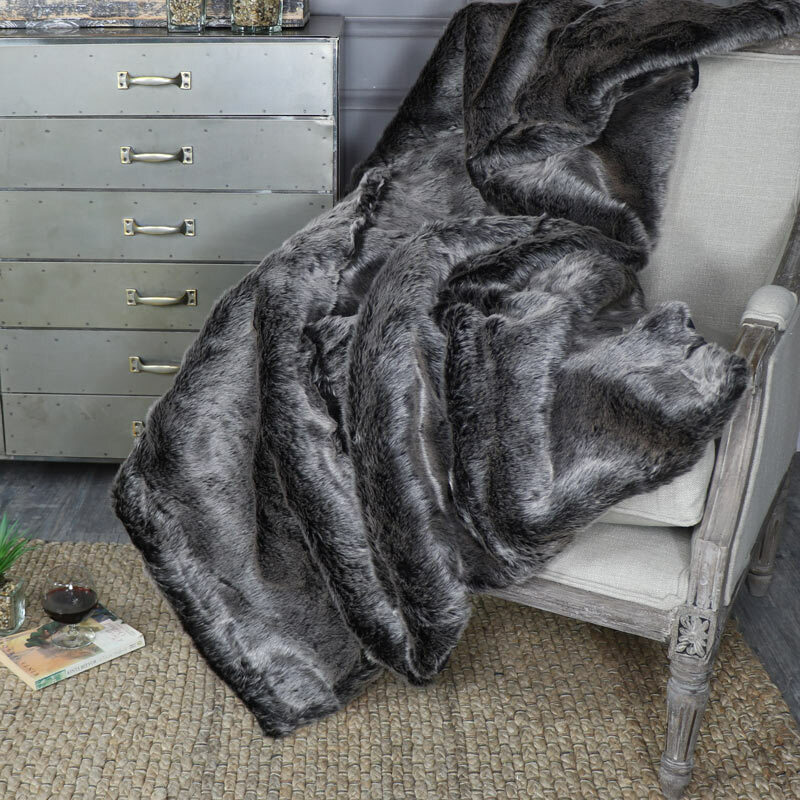 This large fur throw measures a snuggly 130cm x 180cm, great for wrapping up in on a chilly evening. With a soft black cotton back that helps to keep you comfy and warm. This would also look perfect laid on on the sofa. Add some luxury and comfort to your bed with this sumptuous throw. Grey faux fur, with flecks of brown, that is beautifully soft, plush and stylish, perfect for laying on your bed. Make your bedroom a cosy place to relax and sleep and add an indulgent feel. This large fur throw measures a snuggly 130cm x 180cm, great for wrapping up in on a chilly evening. With a soft black cotton back that helps to keep you comfy and warm. This would also look perfect laid on on the sofa. Large grey/brown faux fur throw. Dry clean only and not suitable for tumble dryng or ironing. 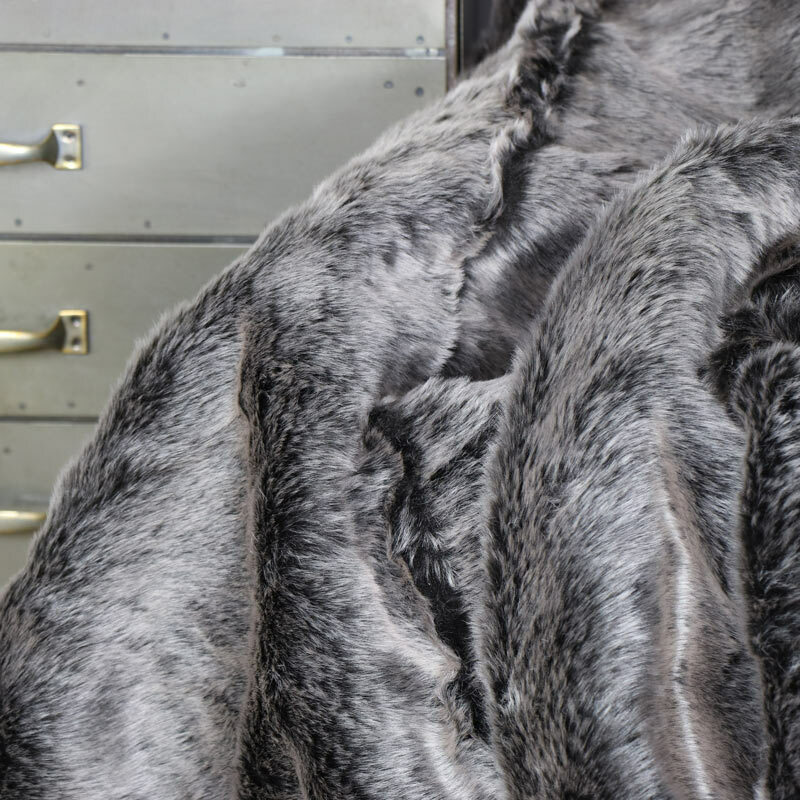 This lovely faux fur throw is a great addition to our range of home accessories. Put together with some of our cushions and create a warm homely environment, perfect for relaxing.